Lots of fun for every age! 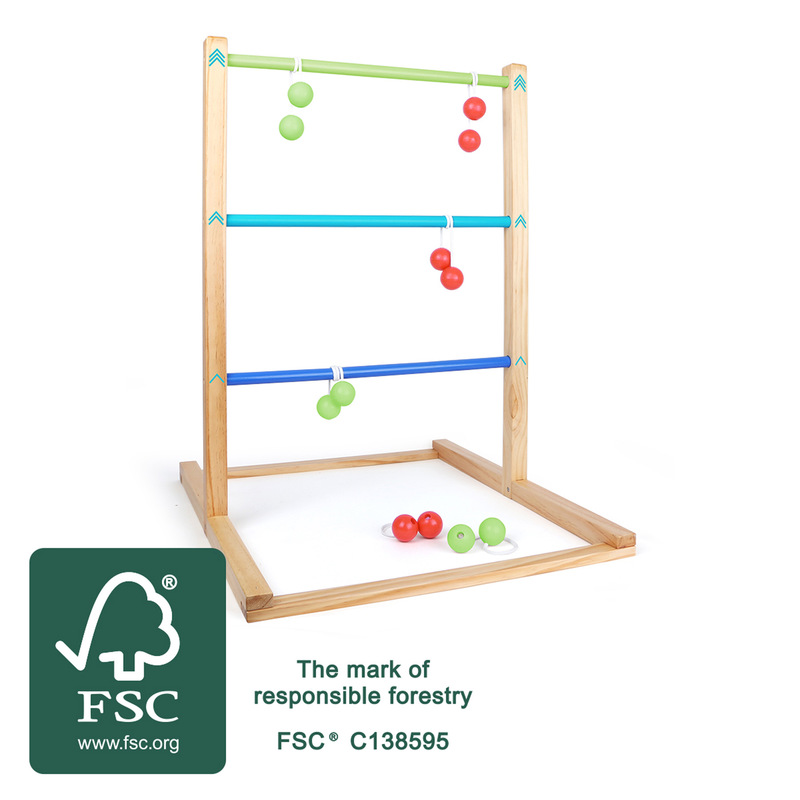 This swinging ball game made of FSC® 100%-certified wood is the perfect game for the garden. Players both young and old will definitely get their money´s worth with this throwing game. 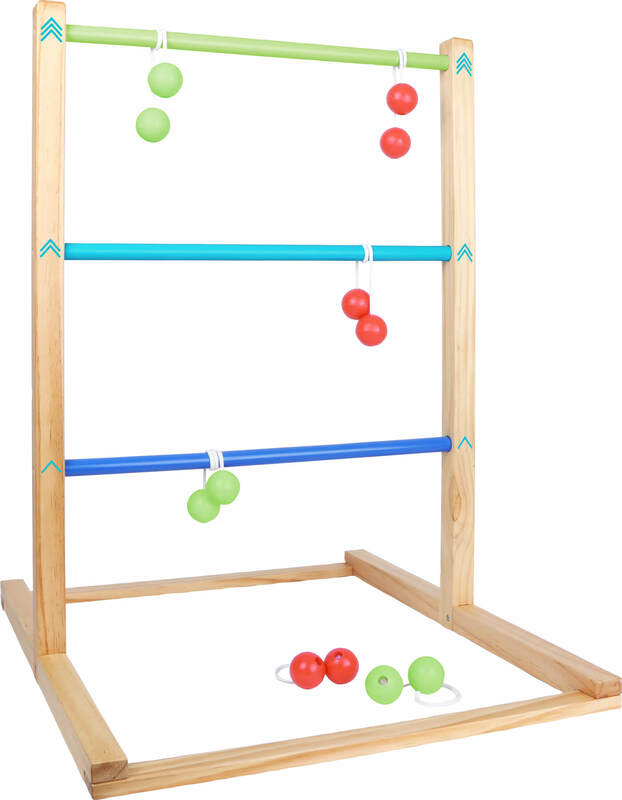 Who can throw the wooden balls onto the individual poles so that they remain hanging? 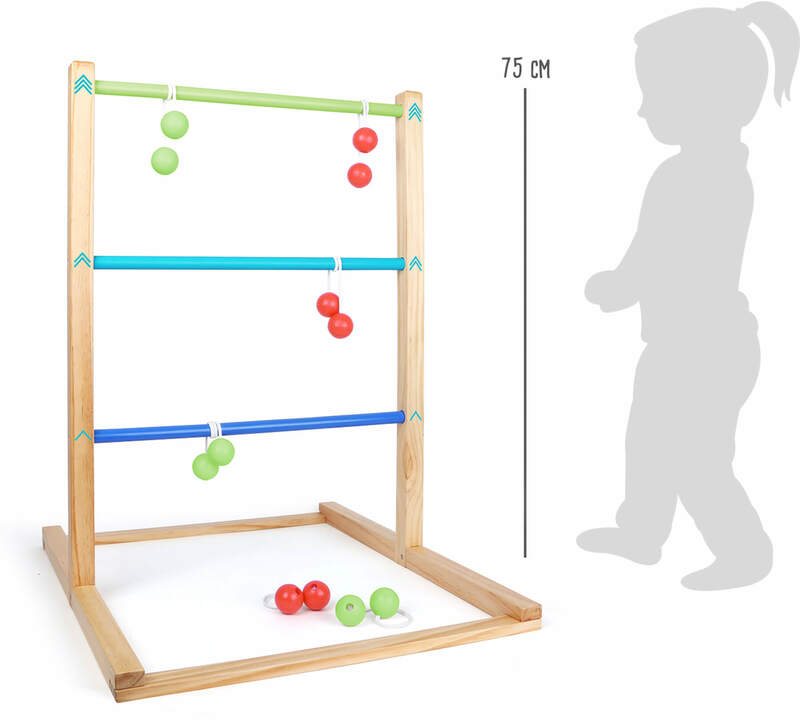 The throwing distances can be changed, and the numbers have been replaced by measurements so that even young children who can't read numbers yet can play. With this, every age group can have their fun. 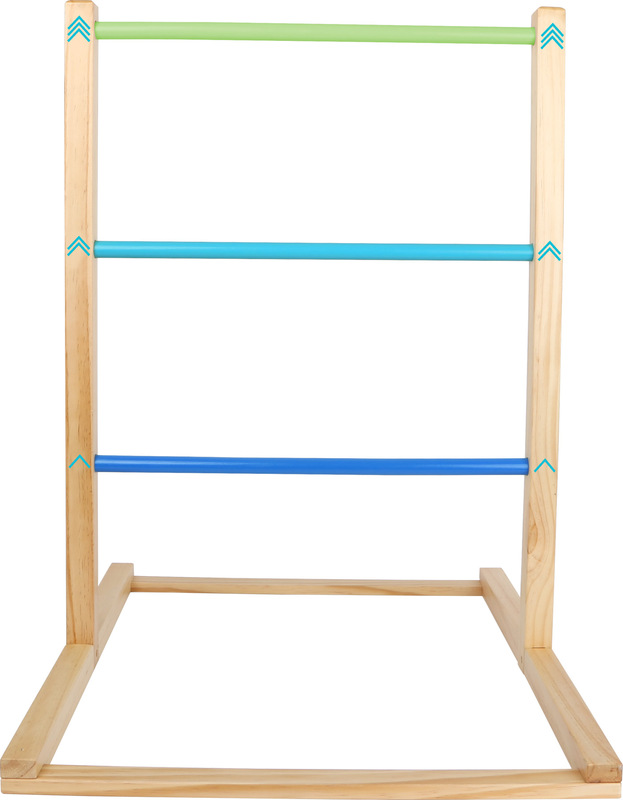 This is a compact outdoor game that belongs in every garden shed!